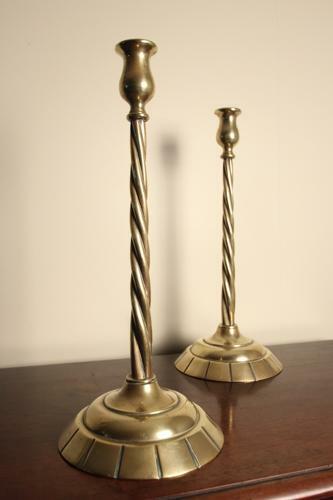 A fabulous pair of Victorian oversized Brass Candlesticks. Having circular weighted bases with twisted stems and tulip shaped candle holders. The pair in superb original condition throughout.